With the big questions for now answered by the release of the numbers from the second quarter, real estate market experts are again turning their attention to the latest macroeconomic data. The most important numbers to come out recently were from last week’s employment report, and the situation on that front does not look particularly good. Roughly 59,000 jobs were lost in the month of June. Keeping in mind that the economy needs to produce just under 130,000 jobs a month in order to break even with growth in the workforce, these numbers are a decidedly poor showing. Similarly, the stock market has had a rough time lately, battered by bad news from the auto industry in particular. With a new report today suggesting the government is considering a full takeover of Fannie Mae and Freddi Mac. Investigators have been questioning their ability to raise enough capital to stay afloat. The government plan would leave taxpayers footing the bill for a huge swath of the subprime foreclosures. Perhaps most serious, though, is oil’s recent rise. Talk at the recent G8 summit was disheartening, with the figure of $200 a barrel being thrown around as a not-completely-unlikely possibility. Having risen as high as $145 a barrel, it is clear that governments lack little room to stimulate the economy as energy prices put a serious inflationary strain on the economy. Taken together, this recent spurt of bad news confirms what many have feared for some time, that a US recession is nearly inevitable. It is a bitter truth many commentators do not like to dwell on, but the honest reality is that it is now a definite thing. Still, for the real estate market, the almost scary set of facts and figures is not as bad as it seems. Unlike most downturns, this one has been led by real estate, which normally feels the effect of an economic downturn later than most industries. The bad news involving Fannie Mae and Freddie Mac, for instance, is really more important for the financial industry than real estate. Unlike the financial industry, the effects of the downturn have largely already been absorbed by the national real estate market. Continuing bad economic news will surely have a further effect on the market, but, more than most, the real estate market has already gone through the worst. 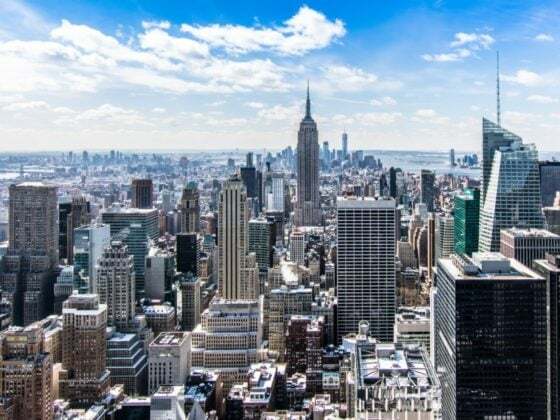 Furthermore, New York City will continue to have much of its market propped up by the weak dollar throughout the rough economic times that the Fed now says will extend into 2009. It’s an important cushion on the market that will help keep one of the country’s strongest markets out of any significant trouble.